The Danes tend towards tightfistedness (or parsimony) and some jurors resented the AR’s high price, the highest of the ten contenders. In a way it was somewhat surprising that the Alfa managed to do so well, given that its overstructure rested on rather old elements, those of the 1973 Alfetta. 1978 Alfa Romeo Giulietta rear seats. The lighting was terrible. Note: the car at the exhibition is not a 1977 car but a later model. I don’t think finding a 1977 car in Denmark would be all that easy. A look at the Giuletta’s statistics produces a little shock. Though in no way a big car, the Alfa weighed a little over 1500 kg, propelled by a 1.6 litre four-cylinder engine. Its 105 hp pushed the car to 60 in a shade under 12 seconds. What mattered more was the general road manners and balance. The contrast with the stodge from Opel and Ford must have been stark. In typical Alfa style, the interior accomodation can only be called extremely inviting. It’s only in recent years that I’ve come to recognise that Alfa were for a long time a cut above in the seating department. I remember sitting in an Giulia at least three decades ago and noting how darn good the seats were. I’d not realised until a year or two ago that this was not a one-off but something Alfa apparently consistently aimed at. You hear a lot about the engines and nothing about the seats. This brings to at least four the number of these cars I have been in or seen which have left a deep impression on the basis of their soft furnishings. This is probably the biggest insight emerging from my gradually accumulating experience of these cars. Yes the engines, yes the handling but goodness the seats are superb. It costs 4200 euros but that includes the dust. The advert does not say where the car is or why so many are gathered in a shed under plastic. Who does not want to find out more about this? And also, the entry price for these cars is getting quite high, is it not? There might be a few more items from the Danish COTY exhibition, but not so many as I would have liked. As exhibitions go, it is one of the least satisfying I have seen so far. It was more than that – there was also the steering wheel position. This seemed to be a regular complaint about many Italian cars in the 1970’s and ’80’s. I can’t say I’ve ever found it that bad, but then I’ve regularly driven a variety of ‘cars with character’, so I’m probably a poor judge of this. No self respecting grown up male Italian would have touched the steering wheel somewhere else than the lowest point at the six o’clock position. If you do so and adjust the seat accordingly, the seating position fits. This always looked to me to have suffered from a serious rear-end shunt, and what were they thinking when they applied that plastic trim below the DLO? It only serves to emphasise the awkwardness of the design. The Alfa Romeo 75 isn´t a car I can talk about objectively because it was one of the ones which prompted my wish to work in car design. I did a lot of drawings of cars like the 75 and while I see that that black plastic trim is odd, it is also interesting. Like the Giulietta is not a beautiful car and yet I can´t call them ugly. They have a visual appeal which relies on another approach. It´d be interesting to know if the designers considered them beautiful or whether they were part of a 1970s anti-beauty philosophy. The Danes, French and Germans built some quite hideous buildings in the 1970s and these cars fit in with those (but are not horrible). The Giulietta is pretty purposeful looking, rather aggressive? Let´s contrast that with the Lancia Trevi which is odd but classical; or the Saab 900 and maybe the smallest BMW, the 318. The Alfa Romeo might also be a car influenced by product design and maybe, deep down, architecture. It is full of visual interest, for all its oddness. Bee tee double-ewe: the Giulietta must have been influenced by the wedge shaped concept cars of the early 70s. It has a raised boot and the flat surfaces Gandini and PF used on their supercar concepts. You can´t say that about the otherwise nice cars Opel, Ford and Peugeot were offering. Opel offered the Ascona and Ford the Taunus, both executed in contemporary vernacular and done well too. Alfa Romeo like Citroen were very much pushing the envelope of what people accepted, which was brave and commendable. I’ve always thought the Giulietta styling had a delicacy that the 33 and 75 lacked, and was one of the more successful Alfa Romeo designs of the period. The 155 also seemed to continue much of the high boot, straight-line approach, which was quite out-of-step with market trends by the 1990’s. I still bought one. The dusty red Giulietta can be bought from Fabrizio Petullà in Gaglianico, located in the middle between Milano and Torino. Petrullà is a dealer specialising in old Italian stuff, as can be seen in the picure. The car has 168,000 kms and is yours for 4,000 EUR. That is one of the most flattering images of that car I have ever seen. It reminds me of a Volvo 340 in a subliminal way. I thought my jones for the Trevi had no equal. In this championing of the 90, I have met my match. I bet there are no recent reviews or re-assessments of this car available (I am not going to look). It was on sale for four years, they sold about 56,000 of them and Gandini is credited with the work, hence the odd swage running from wheel arch to wheel arch. I found one for sale for 7000 euros, in Switzerland, and another for twice that amount. Agree Daniel, the Alfa 90 is a lovely looking thing from the right angles. My only bugbear is it appears slightly too narrow, likely a legacy of being predominantly Alfetta based underneath. It also had those quirky Alfa touches; the suitcase in the dashboard where the glovebox would be, the odd analogue instruments which mimicked thermometers. Didn’t it also have an active front spoiler from memory, which lowered at speed? Not sure if this was a world first, but it predates my other earliest nominee, the rear spoiler on the VW Corrado. Like all Italian cars from that era the 90 was narrow because it had to fit the streets of old Italian towns. Try driving a monster like a Q7 through Lucca or Siena and you see how sensible they were. The 90 had a movable front spoiler that was pushed down by air pressure and pulled up by a coil spring. That probably makes it a passive spoiler. Maybe a better term for that spoiler would be reactive, passive being one that doesn’t move. Alfa interiors of the period were nothing if not interesting. 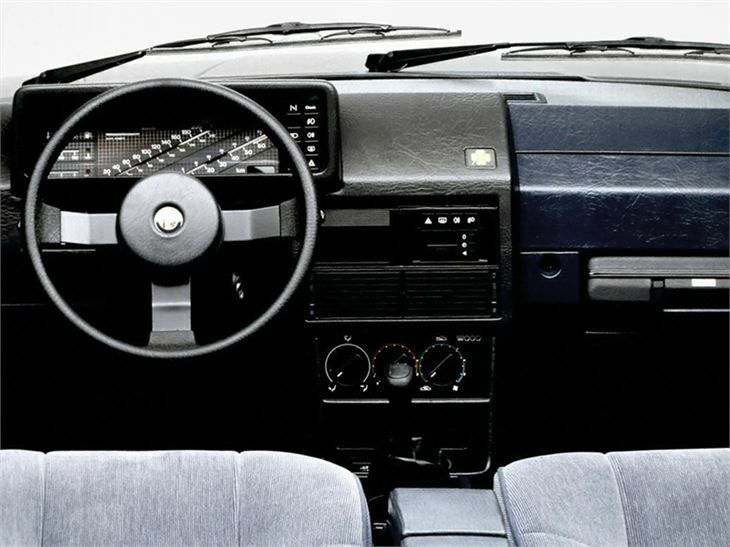 The 33 had its electric window switches in the centre console, and the instrument binnacle moved with the steering column adjustment. Was it the 75 that had its electric window switches on the roof? Here’s a cheesy advert about the 90’s development from 1984. It features what looks like John Major at a futuristic cashpoint (2001 film reference), the Stig and the car’s moving spoiler. No goats were harmed in making this film (I assume). And here’s something similar about the 75. HIghly recommended reading for anybody interested in these cars (or any other Italian car, by the way) comes from Nada Editore. They`ve a series of books “vetture che hanno fatto la storia” which covers an incredible number of cars featured (or to be featured :-))on DTW. The book on the 75 shows exactly the picture n the starting sequence of the above film. The first edition of the Alfetta book shows a production Alfetta drawing dated from 1967 with Cressoni`s signature which should put an end to the myth that the Alfetta was designed by Bertone. Thank you very much for those videos, Charles! What do these films tell us? Alfa 90: Italians overtake like mad and only when the oncoming car is an Alfasud desaster is avoided. Alfa 75: when they spot weld a side panel to the substructure they bend it by more than a centimetre. The Giulietta was a car that wasn’t meant to exist in the first place. Had things gone according to plan, Alfa would have made the same upward progress as BMW and there’d have been a model range with the Alfetta as we know it as an entry level model and V6 and V8 versions to make the real money. 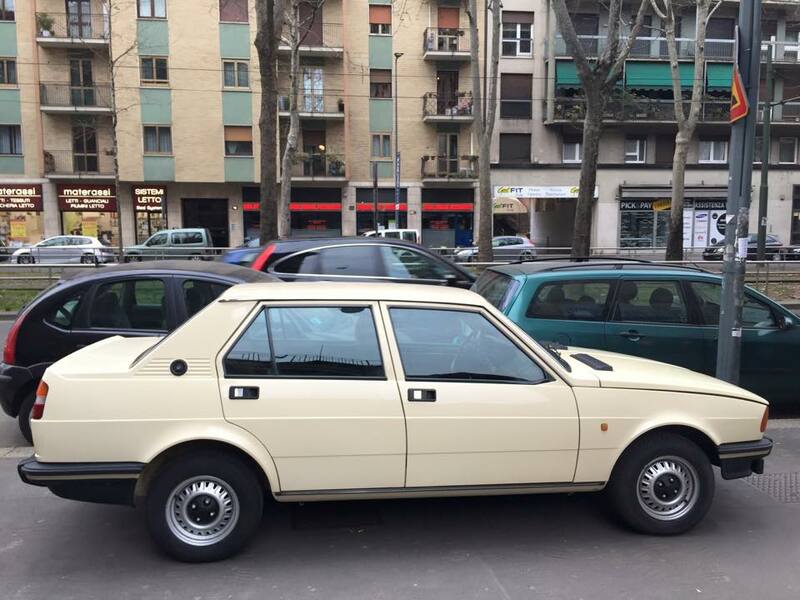 The Alfasud would have served the all-important 1,200 and 1,300 classes in Italy. Unfortunately things went pear shaped due to the econimic downturn after the energy crisis and Alfa dropped or delayed the bigger Alfettas and the 1.8 had to make the money. 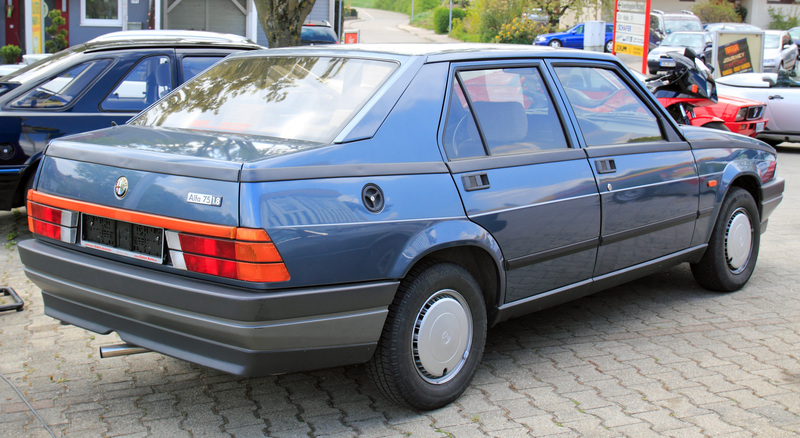 Sales of the Alfetta only really took off after the 1.6 was introduced, just as ten years before Giulia sales took off only with the 1,300 (ninety percent of all Giulias made are 1,300). 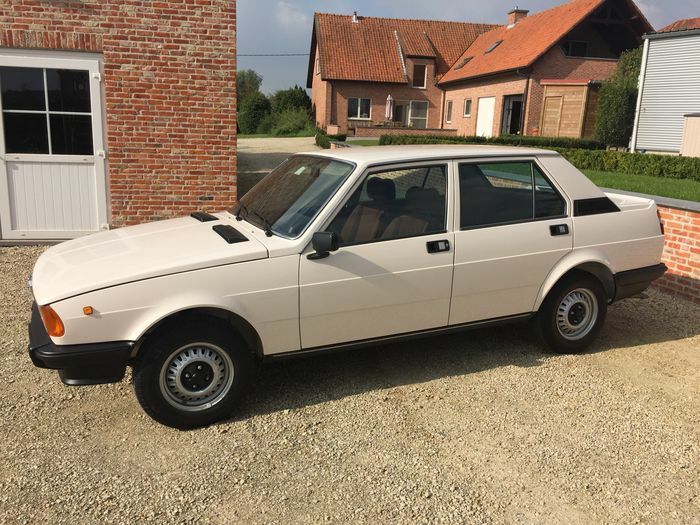 Alfa’s hope for the 1,300 class going away didn’t come true and they needed something that could be made cheaper than the expensive to make Alfetta. The only are offering some money saving opportunities was the car’s interior. Where the Alfetta was shockingly crude the Giulietta was simply primitive. Despite of all this cost cutting, Alfa can’t have made real money from the Giulietta. Always a pleasure to be reacquainted with the Guilietta and its family. The widely reported story that the Giulietta was significantly heavier than the Alfetta seems to be a myth – the weight given for a 1.6 is 1077kg. Four cylinder 75s are around 1090kg. These all seem featherweight compated with the 1400-1500kg norm for a D-segment saloon. The Fords do particularly well at “adding lightness” given that they both have the bulky all-iron Pinto engine. Okay – the Danish COTY number is way off. They have “totalvægt” which must mean gross weight. 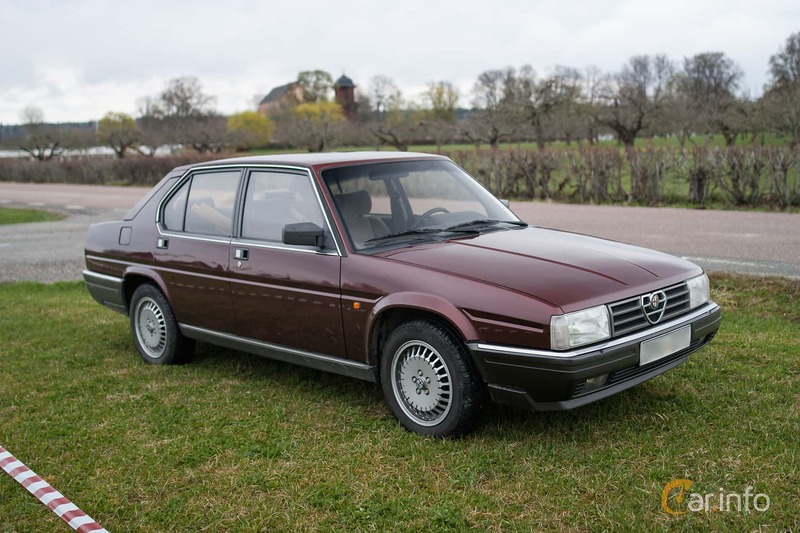 An Alfa 75 made one of my more bizarre and memorable drives. 1991, Israel is under sporadic missile attack from Iraq in the first Gulf War. I’m in the Reserves and get the evening off to meet a relative who is coming from abroad for a solidarity visit. Gas mask kit in hand I head to the airport and we arrive at the car hire lot to collect our car. Astounded that anyone should want to visit a country in blackout where visitors are issued gas masks at Passport Control, the duty car hire guy waves at a jammed car lot and says, take your pick. Well that was easy – rear drive, De-Dion suspension, electric window switches in the roof console – a red Alfa 75 and off we go to Jerusalem. The road is deserted, and no police either – there’s a war on, a threat of chemical attack and anyone sane is very near a sealed room, just in case. One of the best drives of my life – the hairpins that take you up to 2,400 feet above sea level never felt so sweet – the engine, the steering, the transfer of the body weight and just the right amount of roll. It was over too soon and about an hour after reaching home the sirens went, the gas masks were worn, we waited for the all clear a little later. I’ve driven those hairpins hundreds of times in many different cars. That combination of car, the tension reinforced by the deserted road, cold clear dark night and gas masks sliding on the back seat is one of the most memorable. I will never beat that confection of circumstances. It´s a jolly car, the 75. I love the fact it´s quite ugly too. What do you know: the prices for a good one are now climbing. A few years back they went for a thousand euros. Now the price of a clean one is starting around 4-5 thousand. Coincidentally, I saw a 75 yesterday. Sadly (for the timeworn Alfa stereotype at least) it was attached to the wrong end of a tow rope. Oh dear.